It’s 2004 in Muriga, a quiet town in Spain’s northern Basque Country, a place with more secrets than inhabitants. Five years have passed since the kidnapping and murder of a young local politician—a family man and father—and the town’s rhythms have almost returned to normal. 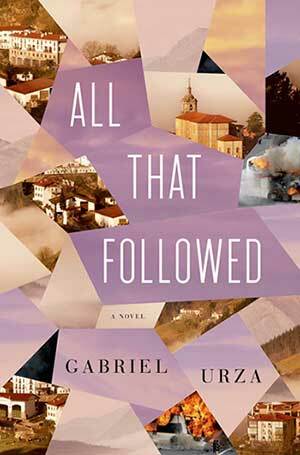 But in the aftermath of the Atocha train bombings in Madrid, an act of terrorism that rocked a nation and a world, the townspeople want a reckoning of Muriga’s own troubled past: Everyone knows who pulled the trigger five years ago, but is the young man now behind bars the only one to blame? All That Followed peels away the layers of a crime complicated by history, love, and betrayal. The accounts of three townspeople in particular—the councilman’s beautiful young widow, the teenage radical now in jail for the crime, and an aging American teacher hiding a traumatic past of his own—hold the key to what really happened. And for these three, it’s finally time to confront what they can find of the truth. Inspired by a true story, All That Followed is a powerful, multifaceted novel about a nefarious kind of violence that can take hold when we least expect. Urgent, elegant, and gorgeously atmospheric, Urza’s debut is a book for the world we live in now, and it marks the arrival of a brilliant new writer to watch.